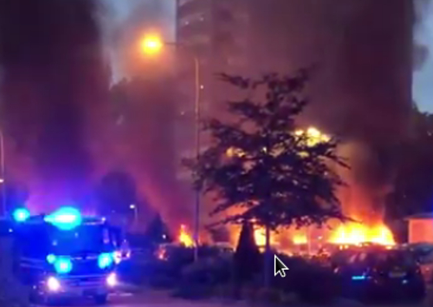 Masked individuals set fire to (or otherwise vandalized) 80–100 cars in Gothenburg, Malmo, Falkenburg, and Trollhattan on the evening of August 13, 2018. 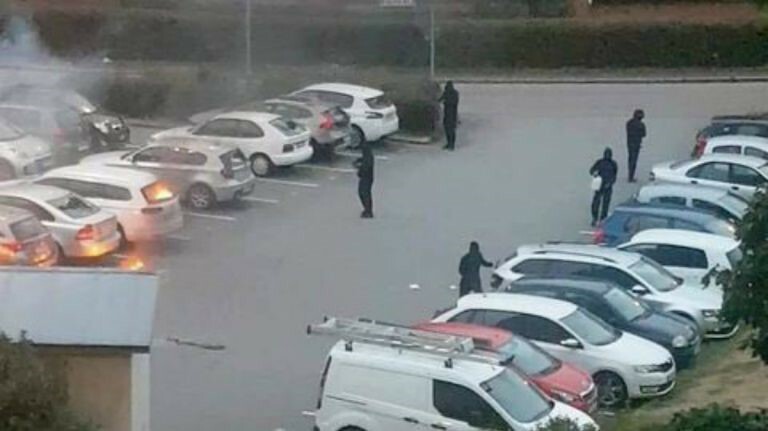 Sweden’s Prime Minister, Stefan Löfven said “It seems very organized, almost like a military operation.” Schools and bus shelters were also vandalized. I’m going to go out on a limb and guess these acts were not perpetrated by native born Swedes. Falkenburg is home to “asylum seekers”. Trollhattan and Falkenburg both have large immigrant populations. Trollhattan (what a name) is a place known for Islamic State fighters and unemployment. The police have been attacked there, but I won’t say no-go zone if you won’t. It’s almost as if diversity *doesn’t* produce strength. Who could have seen that coming? If the crimes had been committed by native born Swedes, the news media would be aflame with fire-and-brimstone sermons about hate crimes and -isms and -phobias, oh my! We haven’t heard that. From the little I’ve seen, no one has even bothered to tie this to Trump. 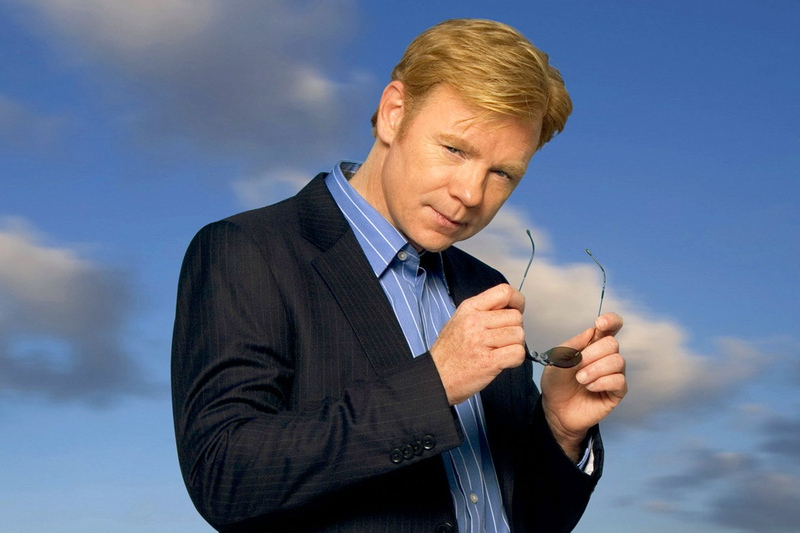 Apparently the crimes, organized and committed across multiple locations with military-like cooperation starting after 9 pm, were committed by “youths” and… No. One. Knows. What. They. Have. In. Common. Weird, huh? Check out these “youths.” If it walks like a terrorist, quacks like a terrorist, and sets fires in coordinated attacks like a terrorist… it’s probably a terrorist. Maybe? Maybe? I don’t know. I mean it could be Antifa, but I don’t see any Starbucks or skinny jeans. Perhaps we shouldn’t leap to conclusions. Instead we should wait for all of the facts to be discovered, and possibly hidden if they are inconvenient to a Left-wing narrative. 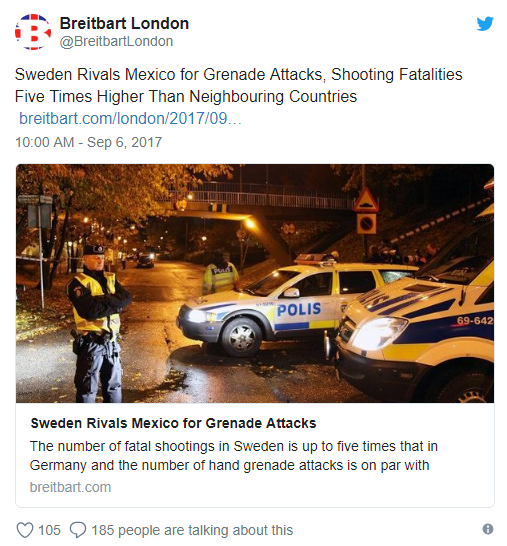 Don’t Mexico and Sweden have common sense hand grenade control? I’ll bet they do. So, why aren’t those laws stopping attacks involving grenades? Is it because the surrounding countries have lax hand grenade laws? I doubt it. In the U.S., some people try to blame gun crime in states with harsh gun control laws on neighboring states with laws that violate the Second Amendment less. It doesn’t make much sense, does it? If that was true, those neighboring states would have even higher gun crime, but they don’t. If you liked this article, please use the following link to enter Classic Firearms’ gun giveaway. The gun giveaway should open in a new tab. I encourage you to enter this contest the way the Left votes in an election: early, often, and even if you’re dead.